Join me for classes and discussions pertaining to the very normal and the divine. Sundays, 12 noon EST and 10:00 pm EST. 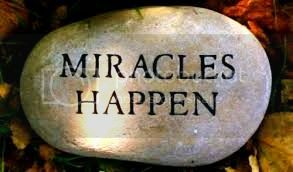 Miracles entail more than your realize. Allow your miracle to ripple outwards to horizons unknown. Beginner classes are based on teaching of the Kaballah, an ancient book of Jewish wisdom. Enjoy this link at your leisure to peruse material used in the advanced classes. I look forward to continuing these classes and hope all feel free to discuss and question here as well. I love your feedback. Hi Homebound, I wanted to thank you for the class the other day and the patience you had with us :) Your amazing! My other question is this, since it is primarily Christian in nature, how do other religions or beliefs fit into this? For myself, I don't follow any religion, I walked away from Christianity a long time ago and forged my own path to God, Divine, whatever you want to call it:) But it talks alot about sinlessness, and my path is considered sinful under the sites of the church and the perameters of the religion itself, but I have found peace and happiness on this path, where as I didn't on the other, so how do we fit in such ecclectic beliefs into this course? What is the core message of this class, might be a better question, because of the varying beliefs, perhaps understanding the core message may help some of tailor the course into our beliefs while still able to reap the benefits of this course. I appreciate you giving your time and for your insights. They're appreciated. Angel722, Yes, ACIM is a channeled book. Jesus is being channeled through a woman named Helen Schucman and was transcribed by a man named William Thetford. It is Christian based but does not follow any denomination's credo. Its only purpose is to provide a way in which some people will be able to find their own Internal Teacher. Notice it said "some people." God has a plan for atonement and redemption for everybody. These particular teachings reach certain people in a very powerful way. For those who this course does not reach, God has a plan for them too. But the core message of ACIM is to remember our inheritance through forgiveness. Through the art of forgiveness we remember who we really are. This course teaches how to look at people and the world in such a way that forgiveness is doable. It is through forgiveness that miracles become possible. Thank you for your questions angel722. I hope I cleared up some issues for you.